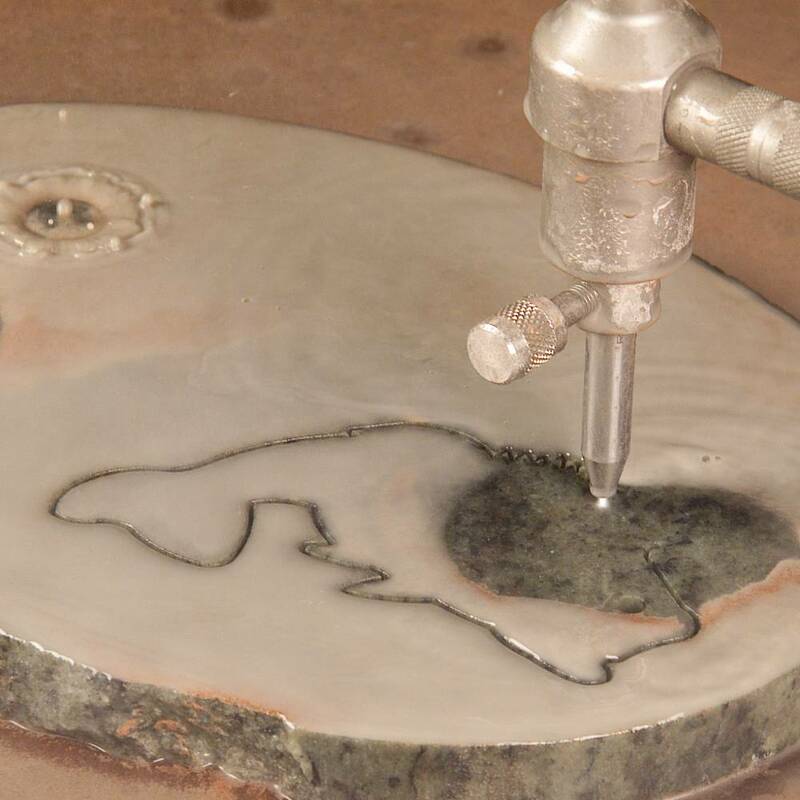 With ability to cut-to-size, mitre edges, cut sinks and make tap holes in stone in a single operation, waterjet has established itself as one of the most valuable pieces of equipment for modern benchtop production. 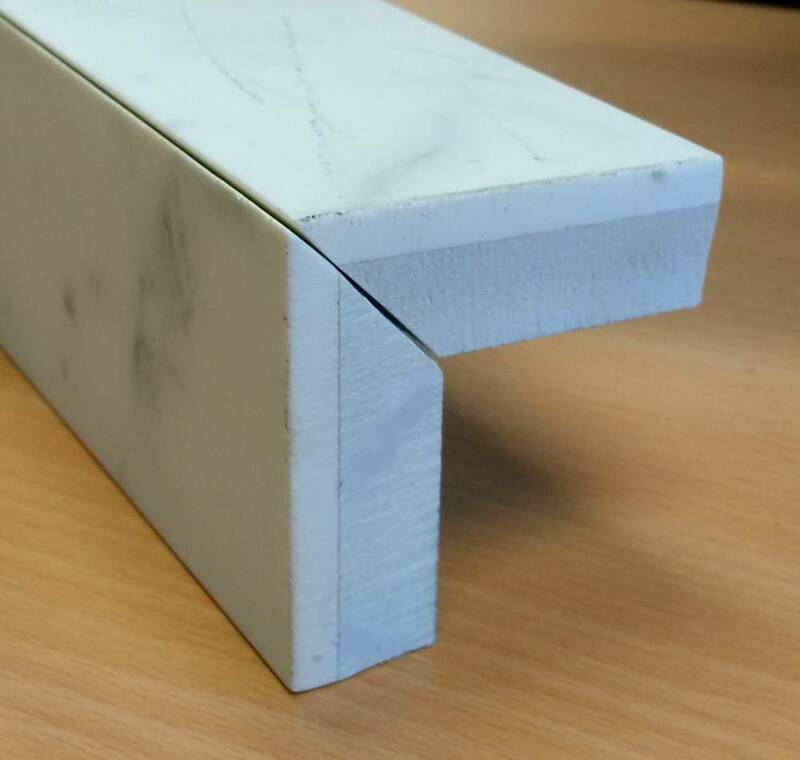 Being a wet process, waterjet eliminates WHS issues caused by dust and efficiently cuts the full spectrum of products including reconstituted engineered stone, porcelain, marble and granite. 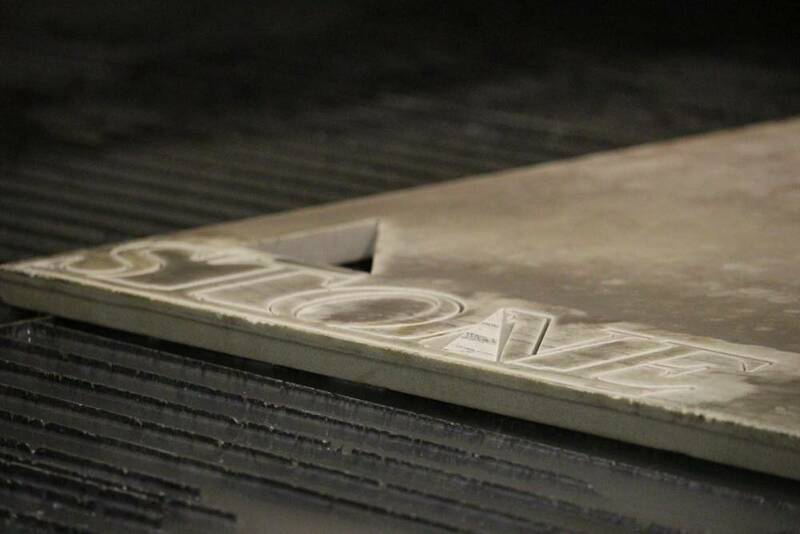 Specifically designed for the stone industry, the Mach 200 Pivot Plus Waterjet System represents the best in high pressure waterjet technology. 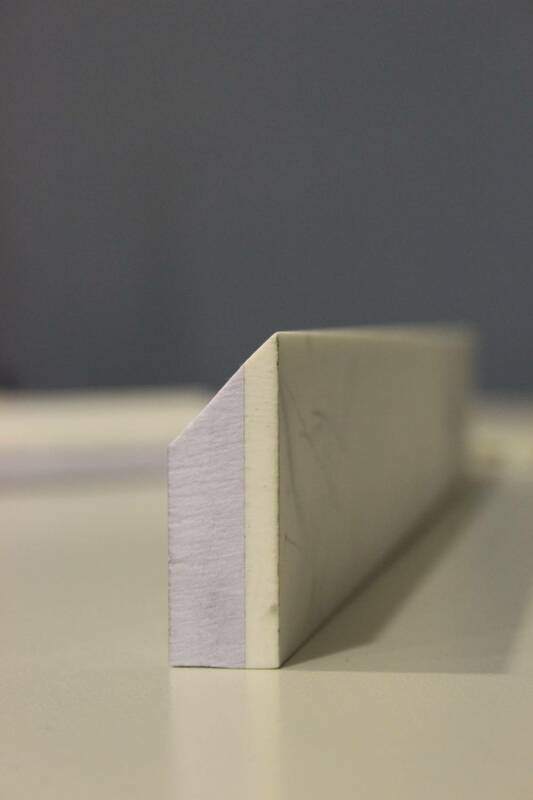 Mach 200 Pivot Capabilities include the ability to accurately produce high quality benchtops from a full spectrum of materials including porcelain, engineered and natural stone. The user friendly Flow Xpert software and fast set up makes the Mach 200 an extremely versatile asset for any production facility. 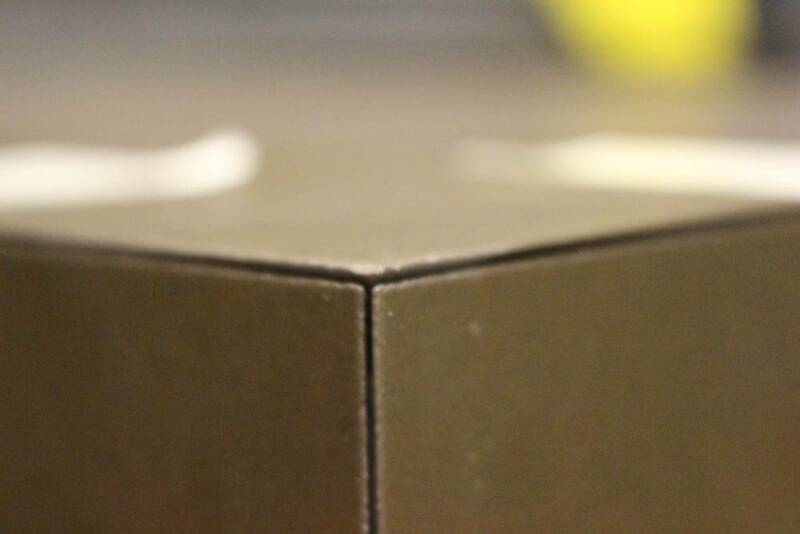 The Pivot Plus bevel cutting head creates bevel cuts up to 60 degree angles and easily cuts benchtops with the most complex geometry. 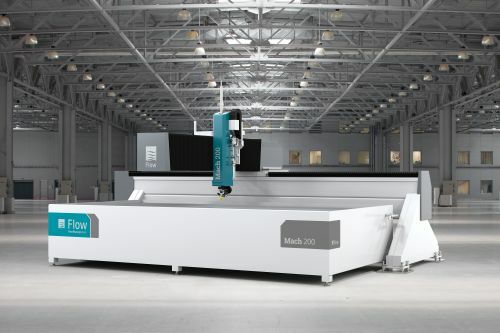 Mach 200's ability to integrate seamlessly with almost any production environment makes it a preferred waterjet solution for operators looking to generate higher ROI and increase workshop efficiencies. 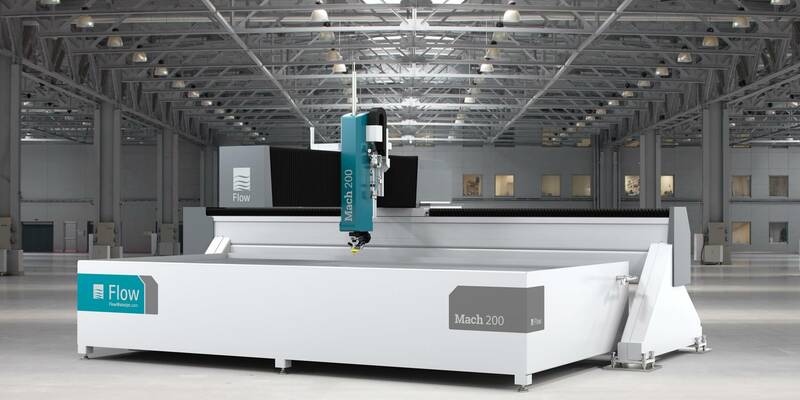 For Mach 200 owners this means more kitchens per week with less operating hours and a lower cost per kitchen. 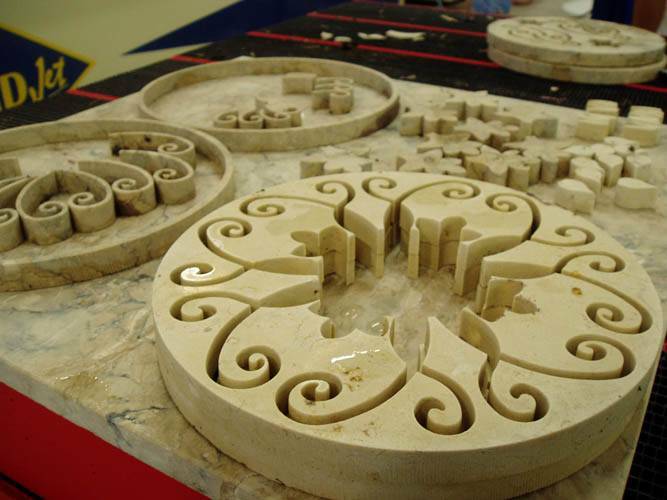 Waterjet cutting of stone has advanced considerably over the last few decades and today waterjet is accepted as the norm with fabricators prove the benefits afforded by this technology. 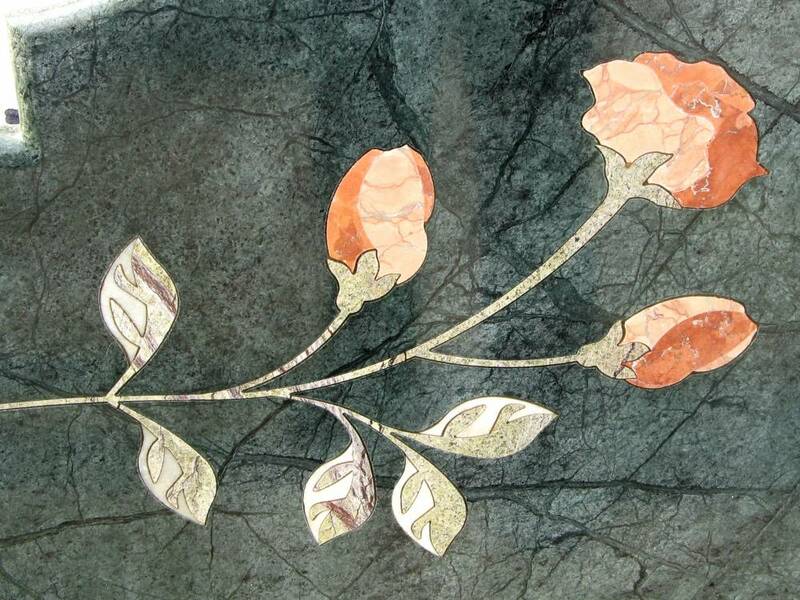 Why Use A Flow Waterjet for Cutting Stone? 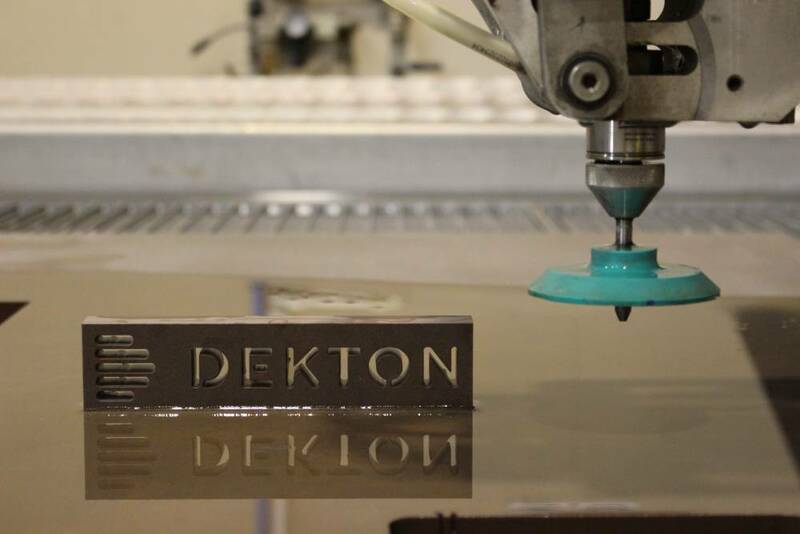 Waterjet technology is best answer for cutting and mitering new generation materials such as Dekton and porcelain. 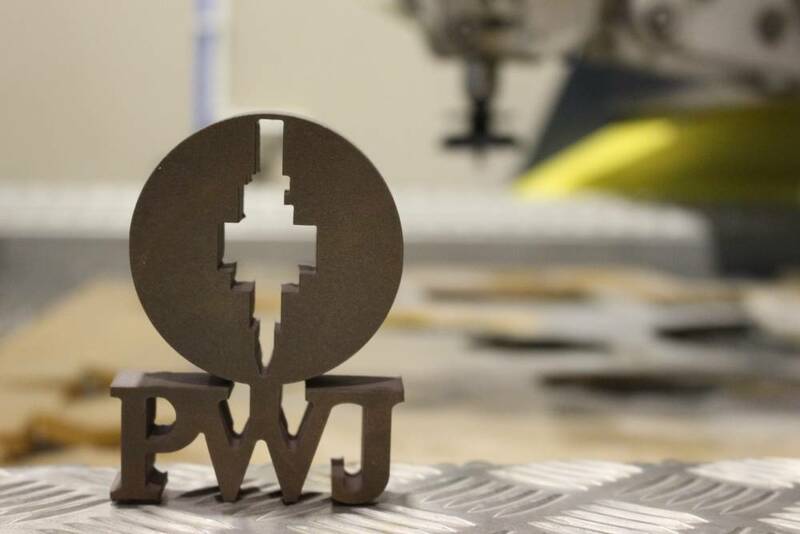 Waterjet effectively uses an ultra-high pressure stream of water mixed with abrasive as a powerful cutting tool which cuts through the hardest material in virtually any thickness and no dust emmissions. 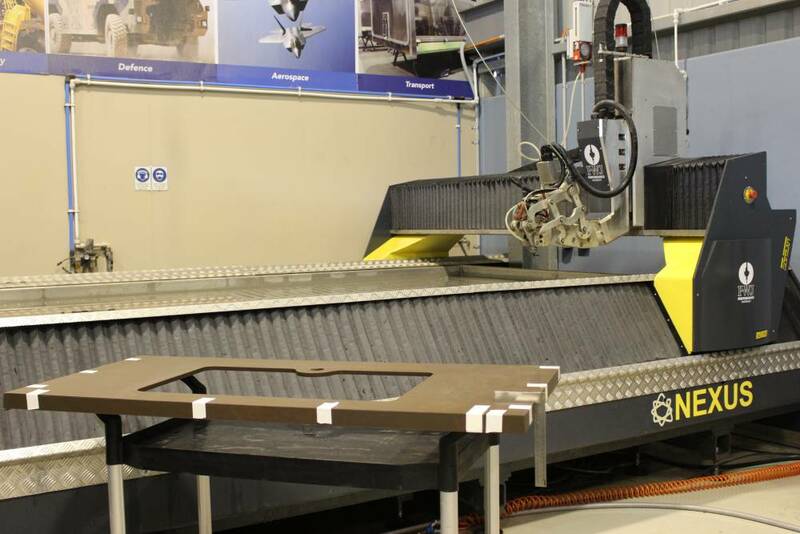 Flow waterjet technology enables fabricators to load common DXF files onto the equipment, set mitre positions and required edge finish, and cut whole slabs in a single operation. 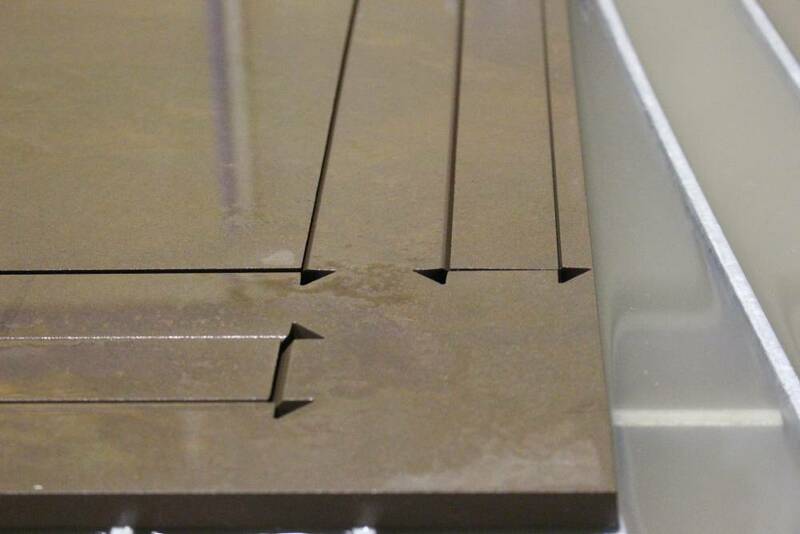 The cutting tool is a “jet” which has a fine angle of taper in the water stream, consequently many waterjet machines now incorporate “taper compensation technology” which tilts the head slightly to the waste side of the line and delivers a perfect 90 or 45 degree angle on the faces to be joined. 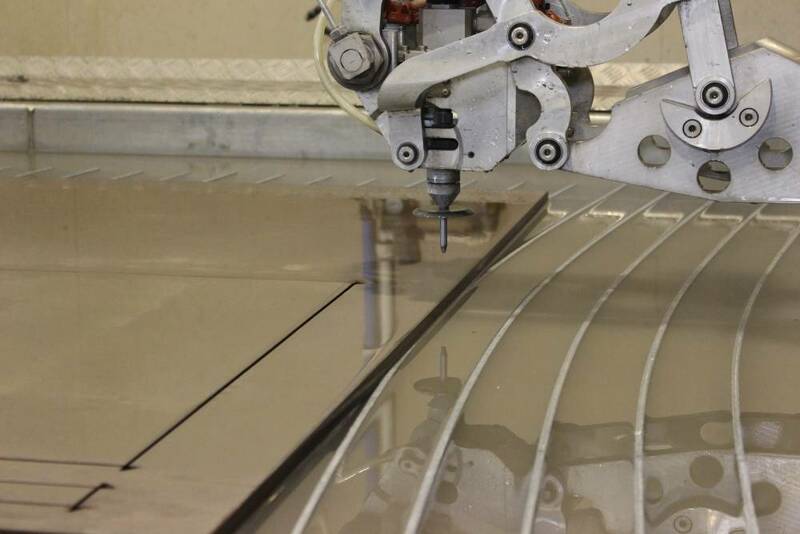 When compared with using CNC spindle routers for cutting sinks and curves, waterjet significantly reduces the waste loading on water treatment equipment. 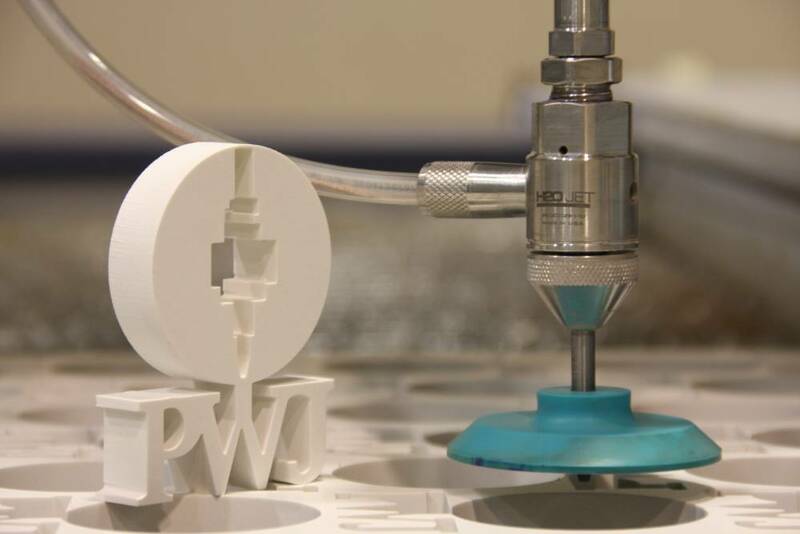 This is due to the fact that waterjet only has a 1-1.5mm kerf width verses a finger tool which typically removes around 20mm of material for the entire length of the cut. 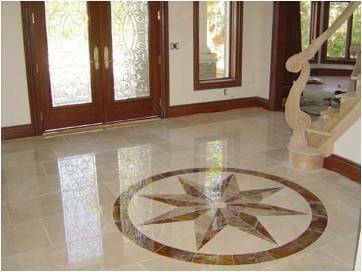 Flow Waterjet cutting machines are able to cut and pierce virtually all stone, marble, ceramic and tile products no matter how brittle the material. 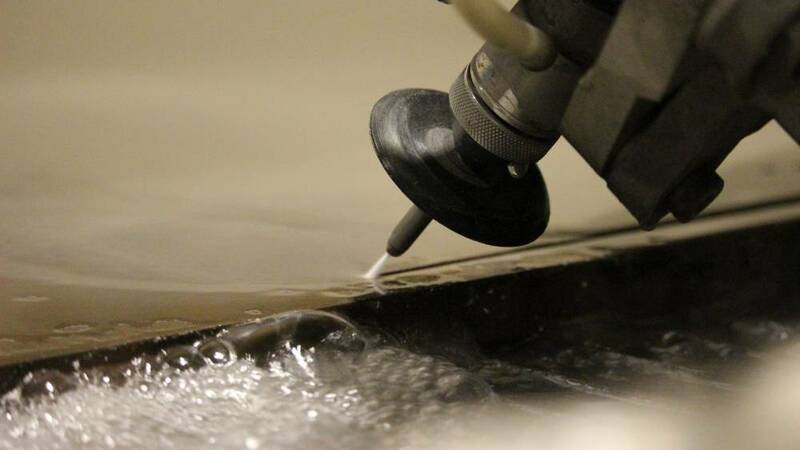 Undersink cutouts, tap holes and curves which were once cut with power tools can now be cut in a fraction of the time with waterjet, which reduces cutting time to a fraction of traditional cutting methods. 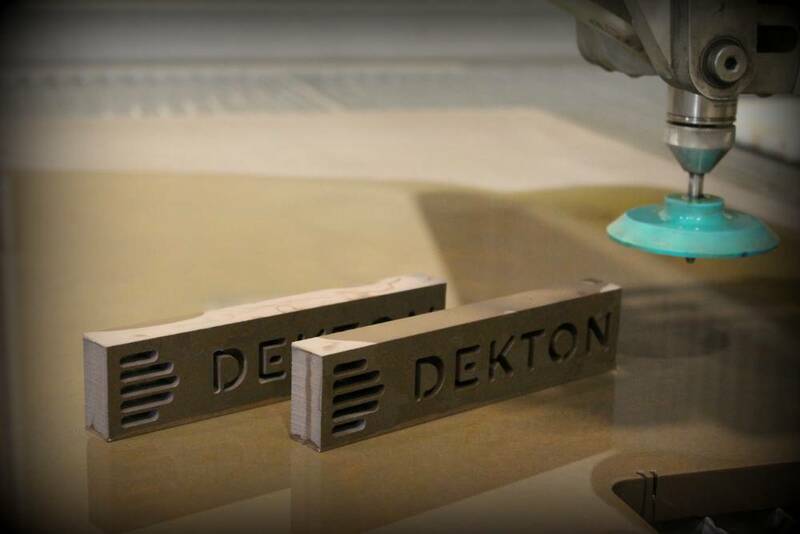 Waterjet also eliminates the need to sharpen saws or blades, and as this is a wet process there is no dust. 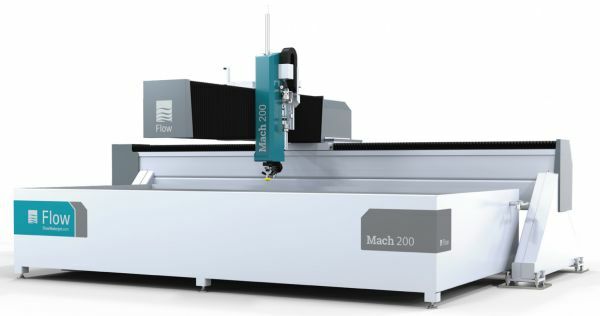 With Flow expertise inside and out, the Mach 100 features the same genuine core components available on Flow’s elite waterjets. 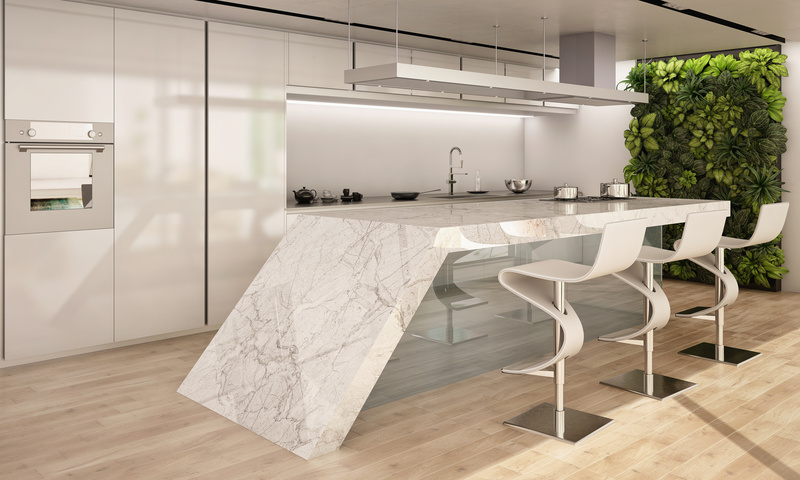 Whether your application is to cut marble, granite, porcelain, or engineered stone the Mach 100 is an extremely versatile workhorse for day to day operations. The Mach 200 Pivot Plus is the ultimate stone fabricators “hub” which is engineered to deliver value, reliability, and years of dependable performance. 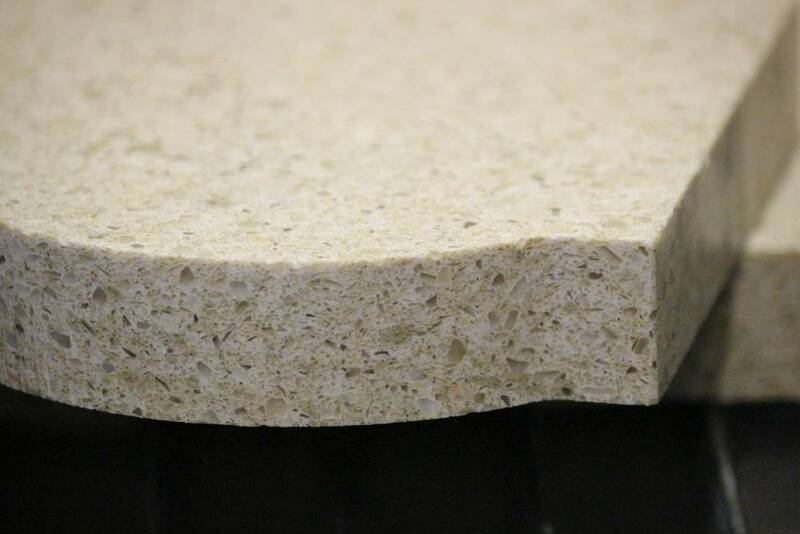 Mach 200 Pivot Plus is purposefully crafted to be a practical and flexible stone fabrication solution, featuring tried and true genuine Flow technology. 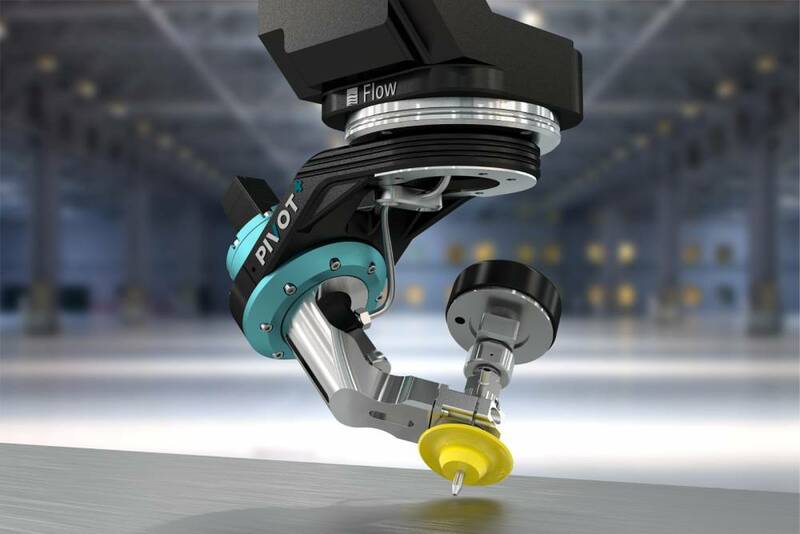 With the Flow Xpert Intelligent CAD / CAM / CNC software communicating with the Mach 200 is simplified by an easy step by step procedure which enables the operator to load new drawings and jobs quickly so that operators spend more time cutting—not programing. 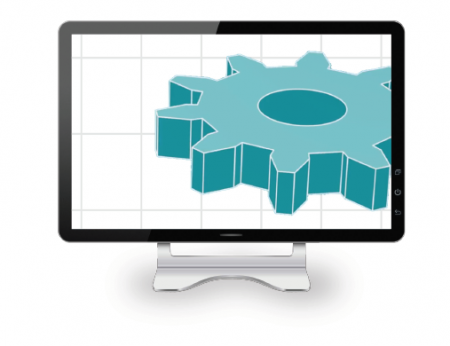 The Flow Xpert software is the magic behind the machine - Your benchtops fast and simple! 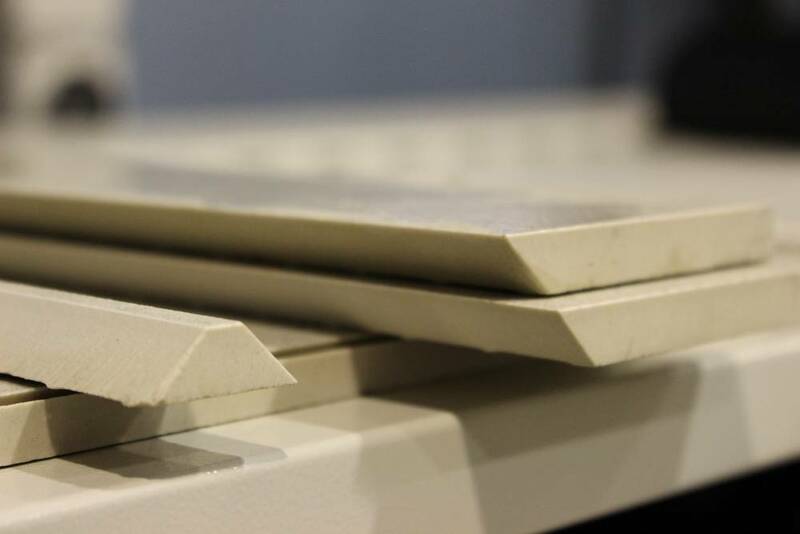 Call our experienced team on 1300 722 559 today for information on our range of waterjet machines for your stone fabrication application.